Owlheart shares their opinion on Mapleshade. As you might have guessed I’m going to be talking about my opinion on Mapleshade, about her life, and why I don’t think she’s truly evil. So here we go. 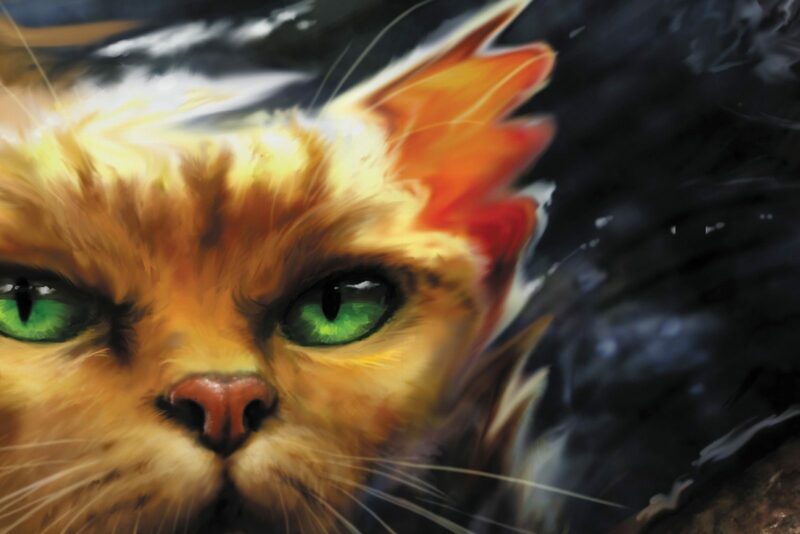 Mapleshade was a kind, brave, loyal warrior of ThunderClan. Like a lot of cats in the series she fell in love with a cat from another Clan, but unlike the rest, she lived in the wrong time period. If she lived later when everyone was doing it she wouldn’t have been treated so harshly. So she fell in love with Appledusk a RiverClan tom. Sounds pretty normal right? Well on a battle between RiverClan and ThunderClan the leader of ThunderClan’s son died while fighting Appledusk. Which by the way wasn’t Appledusk’s fault! Now all of ThunderClan hates Appledusk just in time for Mapleshade to become pregnant with his kits. When her friend asked who the father was Mapleshade said she would be raising them alone. Her friend asked if it was because their father was dead, and thought the father was Birchface the cat who was accidentally killed by Appledusk. Mapleshade didn’t answer, and let everyone believe that. So it’s obvious that she had good intentions. Well, that wasn’t how everyone saw it. One day she took her kits out of camp (which always confused me) for a walk by the river. The kits jump in the water and start swimming. Then a RiverClan patrol appears. Appledusk swims over, scoops the kits out of the water. Now this is where it goes downhill. The ThunderClan medicine cat Ravenwing had been watching Mapleshade. He confronted Mapleshade telling her he knew Appledusk was the father. At first, Mapleshade denied it, but it was obvious Ravenwing already knew the truth. He told her she had to tell the Clan, and she agreed. When she got back to camp though Ravenwing had already told the Clan, and they were angry. 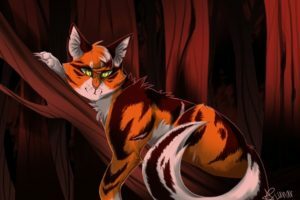 The leader Oakstar banished Mapleshade and her kits from ThunderClan. Which as I mentioned before wouldn’t have happened if Mapleshade had lived a little later on. Mapleshade fled to the river planning on joining RiverClan. Seems like a good idea right? But no it was a stormy day, and while trying to cross the river her three kits drowned. Appledusk along with other RiverClan cats showed up a little too late. The kits were already dead. As they take the bodies back to RiverClan camp Appledusk asks why she would try to cross the river in such bad weather. After she tells him he blames her for their kits’ deaths. When they get to camp Appledusk declares his unfair hatred of Mapleshade, the Darkstar banishes Mapleshade from RiverClan. She’s obviously having a really bad day. She wanders off in a haze and drifts off into an uneasy sleep. When she wakes up she can hear her kits crying out and decides to punish the cats she thinks is responsible for their deaths. Which may seem evil, but I think it’s just a mother sick with grief over the death of her kits. The first cat on her list is Ravenwing. she kills him while she’s at high-stones. Next on the list is Frecklewish. (Not the one from SkyClan) she had watched by the river as Mapleshade’s kits died so Mapleshade blinded her. And last but not least Appledusk. He deserted her, blamed her for their kit’s deaths, and took a new mate. So Mapleshade killed him in front of his new mate Reedshine’s eyes, but Reedshine was expecting Appledusk’s kits, and Mapleshade knew her work would never be over. That night she died. I’m not going to do the rest of her appearances, because she was in the Dark Forest then, and would act differently in my opinion then when she was alive. Anyway, I think she wasn’t truly evil, but just a grief stricken mother that made some bad decisions in her grief. Anyway, I hoped you liked this article! nice article!!!! i read the book Mapleshades Vengeance… IT WAS SOOOO SAD AND DEPRESSING I CRIED MY EYES OUT WHEN HER KITS DIED!?!?!?!?!?!?! ?